If you want to preserve your photos, it is a great idea to make certain you have a backup system in place. As obvious as that sounds, there are still more than a few out there who live life on the edge, and have yet to be bothered with backing up their work. 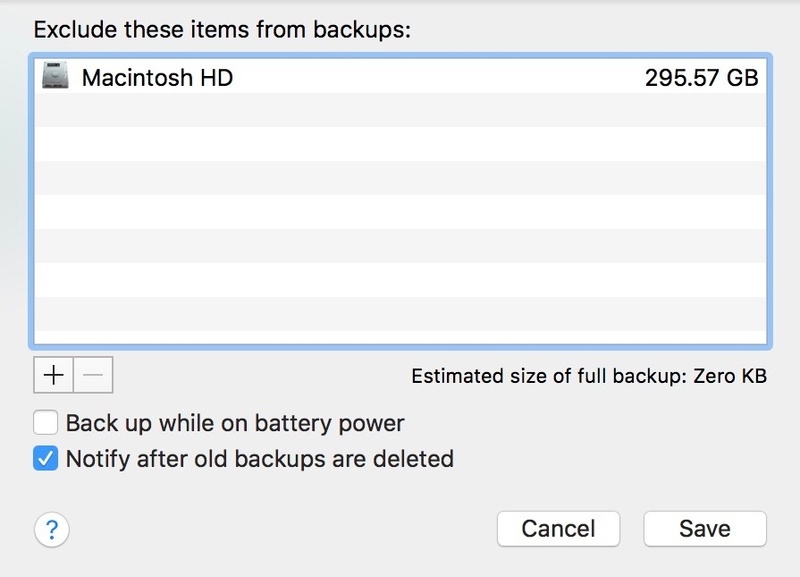 For those of you I offer this inexpensive, and mostly automated, Apple specific backup option you can put in place today. To start off, I would not necessarily recommend defaulting to the most economical route for backing up your precious one of a kind images. 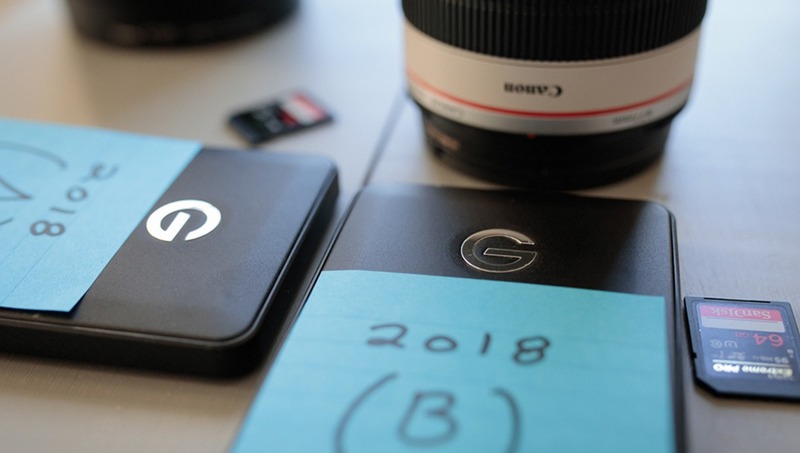 While I have personally used this system for several years, everyone puts a unique value on the worth of the photographs (and video) they create. Only you alone can put a price on that exact worth. If you are for example running a business, and part of staying a float is based on the survival of your clients wedding images, then please, I would urge you to skip this, and have a look at the plethora of more appropriate backup solutions that exist on the consumer market, this is a great solution comes to mind. Ok, if you made it past that last sentence, and currently run wild, unafraid, and without a backup solution in place, and also, happen to own a Mac, then lets have a look at utilizing the built in Time Machine application that shipped with your macOS. On your Mac, open system preferences, and select the Time Machine icon. This Panel below will appear. All about those system preferences. Select the "Options…" button in the bottom right corner of the Time Machine panel. By default Time Machine is set to back up what is included on the internal drive that shipped with the computer onto an external. We will have to override this by clicking the plus icon, and manually excluding the internal drive from backing up. Once the plus icon is clicked, the Finder window will appear. At this point, select the internal storage drive, and any other external sources that you may have connected, and want to exclude from the Time Machine backup. In my case only the internal storage drive labeled as "Macintosh HD" was necessary to select. Now confirm the exclusion of the internal drive, again in my case it is titled "Macintosh HD" and click Save. Confirm the internal drive's exclusion. Back at the main Time Machine window, click on “Select Disc”, and choose the new unused external drive you have designated for Time Machine backup duty. In my example two of the the same macOS ready brand, model and capacity drives are being used. I have custom labeled them in Finder, designated as A and B drives. I will mirror via T.M. my main example drive labeled "G-Drive 2018 (A) with a second drive labeled G-Drive 2018 (B). 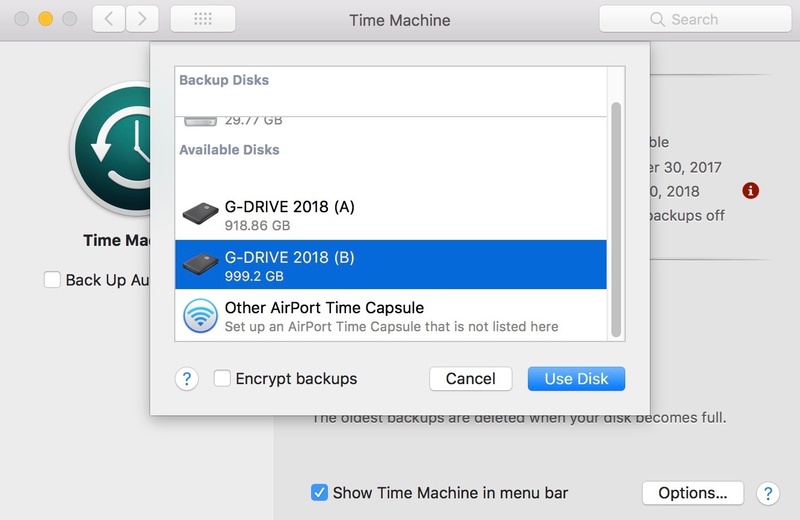 This (B) or backup drive will seek out any drives that are not excluded and attempt to back them up when "Back Up Now" is selected and the automated Time Machine backup begins. Select your dedicated backup drive. Once the initial backup completes, you will be left with two drives that look identical with the same folder, and file structure present on each drive as you simply allowed Time Machine to create the backup for you, with all of the initial images from your main drive now existing on both drives. Now with a repeat backup system set in place, if catastrophe strikes you will thankfully have a separate copy of your images, protecting yourself from a drive failure that could one day occur. Yes you're right, that's only for files, to restore the system there's now something in Windows 10 where you can just restore the system without affecting the files but you have to re-install all the software. Anyway the whole process is not as polished as the Apple one. You can make a system image and restore from that, without the need to re-install your software. With windows it so easy to drag and drop file folders to another drive and Windows will not over write existing files unless you tell it to. I have never lost a single file in 20 + years using this method. No need for backup software. Yes, that's a possibility but with software that updates itself almost monthly, the system image is not a versatile solution. Anyway, I'd choose Windows over Apple for thousands of reason when you have to recover from a failure. Windows 10 has some back up features, but not as elegant as the Mac. Not sure I understand this. The point of Time Machine is to have a backup of your computer that's recoverable both at the OS level (bootable restore) and the file level (recovering individual files without a full restore). This method pretty much wipes the first option off the table (by excluding your internal HD) and seems extraneous for copying files & folders from one external drive to another. 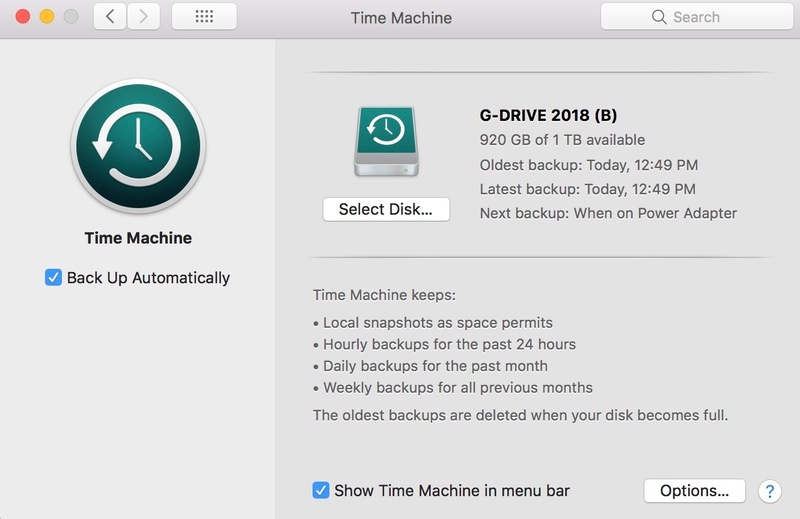 You're better off using Time Machine to maintain bootable backups of your computer and using something else to shuttle files from one external drive to another. If you're just doing it to make a one time copy, you don't even need backup software. Just copy & paste. Yeah I was wondering the same thing. It is stupid to use TimeMachine this way. TimeMachine is one of the last things that Apple haven't screwed up yet, so it is a big mistake not to use it as intended. For sure I realize this is not a one size fits all solution, I tried to allude to that in the article. There are many ways to backup files in 2018, adjusting TM’s default settings won’t be for everyone. This just being an inexpensive method using what is already there out of the box. Personally I had for years used Time Machine to backup both my MacBook in its entirety, as it was intended, and simultaneously with the steps I sampled, created separate ongoing backups of my dedicated external hard drive of images. I never ran into an issue doing both, but it’s not seamless, and is a bit of work jumping between settings. If you don’t want to keep these separate, then absolutely ignore this all together and use the default settings. Appreciate everyone’s thoughts on it, at the end of the day the more people backing up the better, regardless the way that works for them. I get what he's doing but without a caveat in the article that he's jumping back and forth between backing up his internal drive and external drives separately, I believe it's irresponsible to advise people to exclude their internal HD from their Time Machine backup. If you already know what you're doing you didn't need this article, so for the people who could potentially find this useful I think it's imperative to explain the ramifications to not backing up your OS/apps/system files. Regarding copy & paste, I specifically stated that this was an acceptable substitute for a one time backup, not a recurring one where versions of files would be relevant. If you're doing that, I revert to my previous assertion that you shouldn't be advising people to exclude their system drive without explaining the (significant) pitfalls to doing that. "If someone is able to appreciate the ramifications of not backing up their photos, what this article is specifically addressing, then they should be able to appreciate the ramifications of not backing up their computer, or all their data." Actually, that's not true, because a lot of people don't fully understand the value of a bootable backup vs. a simple automated file copy. "Data" is commonly used to describe things like documents, music, pictures, email, etc., but not things like system preferences, user accounts, etc. Back in the day if your computer wouldn't boot and you needed to reinstall the OS, you had to reconfigure everything from scratch and then restore your data. That doesn't have to be the case anymore, depending on what backup solution you use, so it's an important distinction. People hear "backup" and think "panacea", but that's not necessarily the case because of articles like this that are misleading. To be clear, I'm not saying that you can't take some of the information in this article and apply it to custom scenarios, but as it's written, it's incomplete and flat out bad advice for people who would need this type of article. "You are also looking at a Time Machine backup as being just one backup, and just one type of backup. Time Machine is not that limited, as explained in the article." but at that point you don't need this article, so where's its purpose? "He also said one of the drives is for "working off of" so copying and pasting, is reasonable to assume, should not apply in this case where you have a better solution that can account handle versions of the same files." You're clearly just being argumentative at this point. I know what he said; the reason I made the comment about copy & paste for a single backup is because I knew it was likely that the point he was driving towards was using Time Machine as a recurring backup of one external drive to another while excluding the internal drive. I was accounting for the .001% chance that somebody would come back and say, "well you could do that for a single backup of files/folders and it would still work", to which I would still reply: "copy & paste". But my main point still stands: as the article is written, it's bad advice. The only way you can say it isn't is if you pick and choose which steps to follow, which goes back to my assertion that if you already know better, this article wasn't intended for you anyway. I'm a Sys Admin and I've worked in IT for over 15 years, so I've got a fair bit of experience not only with backup solutions but how people perceive backups (hint: there's a lot of misinformation out there). Part of the problem is that since computers are so integral to most people's daily lives, some people feel qualified to dispense advice on the sole basis that they "use a computer every day" or "run a backup every day". I'm sorry, but that's like saying you can teach a photography class just because you "take a picture every day". That doesn't mean you know anything about how the camera works or how exposure is calculated. Same principle here. Pointless to exclude the System HD. It's not very big, as you said, so why not include it? Use ™ to back up everything. Time machine produces compressed files. A program like Carbon Copy Cloner creates non compressed files. 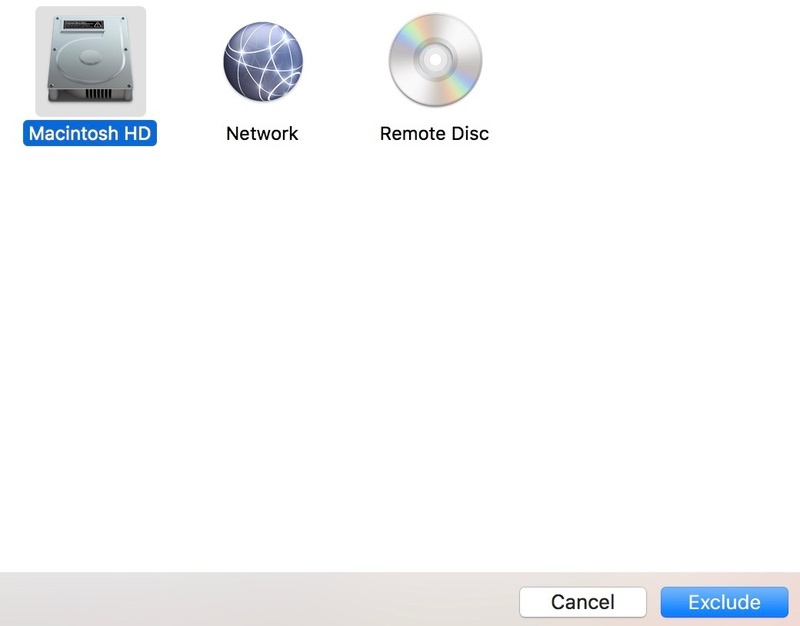 CCC can also create a bootable copy of your Mac OS. 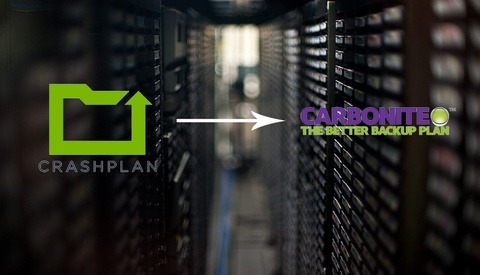 How much do you trust a compressed backup? Do you have to keep the external drive connected to the computer at all times for Time Machine to work? Or will it do a backup automatically when the external drive is reconnected back? Great article ... TimeMachine back-ups are very flexible, the article just touches on what you can accomplish with TimeMachine. Carbon Copy Cloner is adds even more power when run alongside TimeMachine. I use three external drives, one dedicated for TimeMachine back-ups. One dedicated for Carbon Copy Cloner back-ups. One for my main photos archive folder. I have a fourth storage hard drive, which holds all my "junk files". TimeMachine backs up my system disc, my main photos archive folder, and my "junk files" disc. Carbon Copy Cloner backs up my system disc (bootable) and also my main photo archives folder. I also keep my main photo archives folder completely backed up on Amazon Prime, and Apple Photos. Great article, in that it prompts folks to see TimeMachine as an ultra-flexible back-up solution ... especially if used alongside Carbon Copy Cloner, and a cloud solution(s). Here's a solution that is more inexpensive and cross platform for Apple and PC. Get an account with Backblaze and don't delete your photos until it's backed up online. Cost is $5 a month, $60 a year for UNLIMITED data. Not only is that more that more space then a hard drive, it's less money and if you need a restore they can send you the data with a simple email link or a 4 TB Hard Drive for a fee which is refunded if you send the drive back. There are better solutions then this entire article. It's a waste of time to read in my opinion. Another problem with this solution presented by this writer, the reduncy doesn't protect you from theft or any other method that might destroy your equipment such as a fire or if someone destroyed your computer equipment. This is pretty much what I do. But I also add in a external SSD that I backup to with CCC when shooting tethered and I also have two mirrored Archive drives for longer term storage. Working in IT has taught me it's not a question about if it will fail, it's when it will fail. Last year I had a giant accident happen where a relative spilt water on my MacBook Pro, and of course I never worried about backing anything up, how stupid right? Fortunately the relative paid for a new laptop but I still lost everything I had on there, Projects, Raw's, everything. So once I got back up and running I now have 2 HD's I use Time Machine with along with 2 different cloud based backups. I had a friend that does music ask why I have so many diff backups, but I don't think you can be too careful when it comes to priceless moments and art. If anyone out there is reading this article and think oh its no big deal that won't happen, it can, it will, so be prepared. I've already had to restore my computer once this year and knowing I had multiple backups was just a huge ease of mind. My preference is "E," all of the above. I would not trust an external service to 1)stay in business, 2)not increase fees, 3)not change in some other way. That said, they make a good 2nd location backup in case of fire, theft, damage, etc. to your on site equipment. I would also store a backup disk away from my equipment. Those who say it's not "if, but "when" equipment fails hit the nail on the head! Good luck to all! This is a stupid way to 'backup' just an external drive. DO NOT EXCLUDE the internal Macintosh HD disk, under any circumstances. If you only get 1 backup, you'd better backup your local drive, as it's 10x faster and 100x more likely to have your latest, most important work on it. Spend the extra $30 and get a 4tb drive for your backups, and backup your whole computer. You can not work directly off a Time Machine file system - it will only allow you to restore to a new location. This is not an 'Inexpensive backup solution'. This is stupid, setting folks up for data loss or false expectations. If you want to sync your active external drive, with another external drive, go and buy a copy of ChronoSync, or a utility that'll quickly mirror from one drive to another. At least then you can immediately start to work off your backup copy, rather than have to restore files to a different location before opening them. 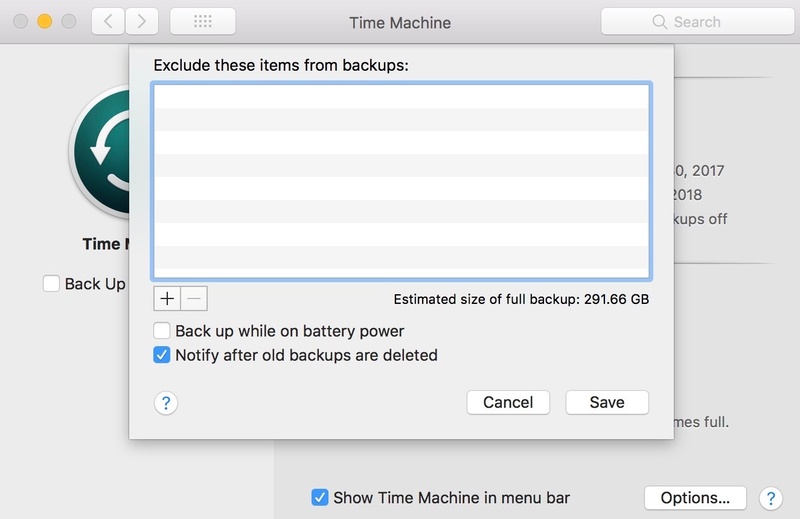 One thing to watch out for is Time Machine will start deleting old backups when it runs out of space. There is a sight possibility that what you thought was safely backed up disappears without warning at some point in the future. I use Time Machine for my system backups, but exclude my media drive. I run Backblaze for media and system cloud backup. In addition I have A/B portable drives where one of them is always connected, with Chronosync copying new files on the hour. Every week I swap the currently connected drive and take it to work (offsite storage). 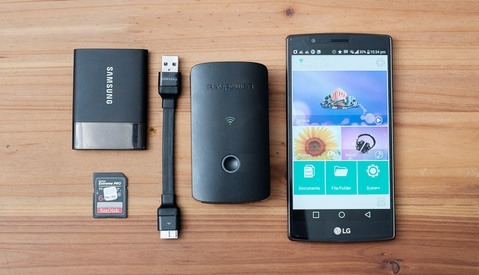 The work drive comes home and becomes the new backup drive. Every year I copy all of the year's work to a big portable drive as an archive. I use two drives, and store one offsite. Every year I buy new drives for archiving, and refresh the old archives. 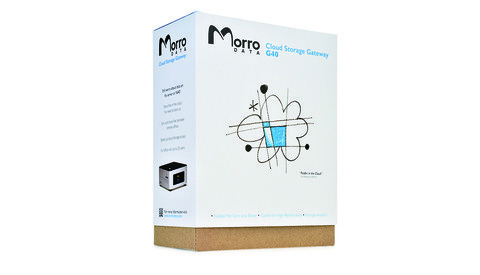 I also upload the archive to Amazon S3 Glacier just in case. I think this is a good solution for me. It's cheap and simple. If the house gets hit by a meteorite I have my A/B backup at work. If work gets hit by the same meteorite, Backblaze rescues me. I am probably safe even for stuff hot off the SD card that I am currently working on. If everything fails then Amazon to the rescue.